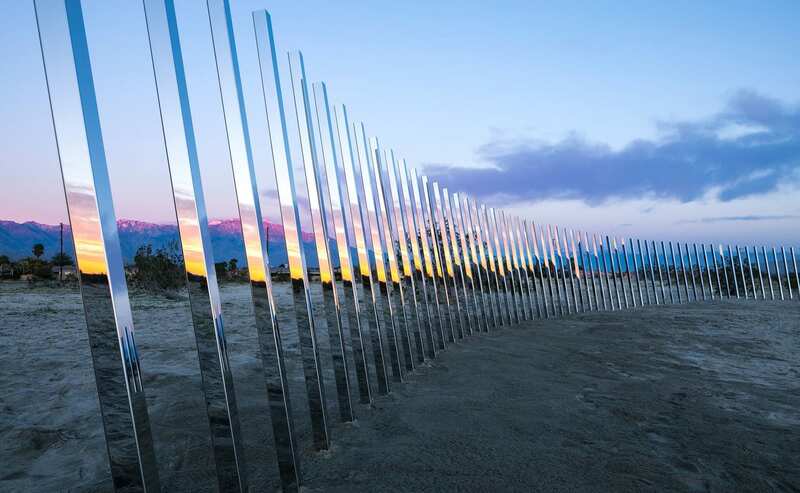 Owing to the Coachella Valley’s vibrant creative community, the cultural landscape brims with galleries, museums, art walks, fine art shows, and unmissable art events like Desert X. Launched this past February and running through April 21, 2019, this site-specific art biennial made a huge splash in the contemporary art world when it made its debut in 2017, attracting more than 200,000 visitors. The 2019 exhibition is on track to do the same, showcasing 18 internationally known artists with works spread over an area of approximately 55 miles, from the Salton Sea to north of Palm Springs. 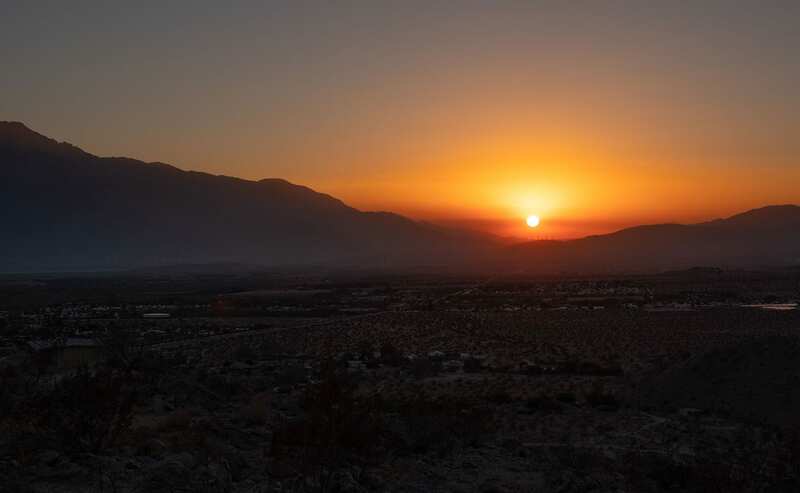 A springtime Desert X excursion makes an unforgettable half or full day art immersion, with the added bonus of exploring nearly every Coachella Valley city and natural beauty of state parks and preserves. To get started, you’ll need a Desert X map. Visit the Desert X website for a downloadable version or stop by one of the Desert X hubs listed on the website for a hard copy. Be sure to download the free Desert X app via WiFi. When you prefer not to drive, Desert X offers public bus tours on Saturdays and Sundays. Private tours can also be arranged. If you need to rent a car, Enterprise is offering a special Desert X promo rate. Cahill’s augmented reality (AR) installation at the North Shore Yacht Club at the Salton Sea is a sight to behold, and you’ll need the 4th Wall app to view it. Download the app via WiFi and be sure to enable access to photos and location services. While Margin of Error focuses on human progress as it negatively impacts the environment, Cahill’s second AR installation, Revolution, located in North Palm Springs, hints at the power of energy to reverse a man-made crisis. Stairway to heaven takes on a whole new meaning when you visit this interactive sculpture near the Salton Sea constructed by Argote, a Colombian-born, Paris-based artist. The assembled concrete steps function as sundials, showcasing the artist’s reflections on time and space. Messages encrypted in concrete in English and Spanish appear on each step. Local artist Lerma creates inimitable art that reflects the Mexican community and traditions in his hometown of Coachella. 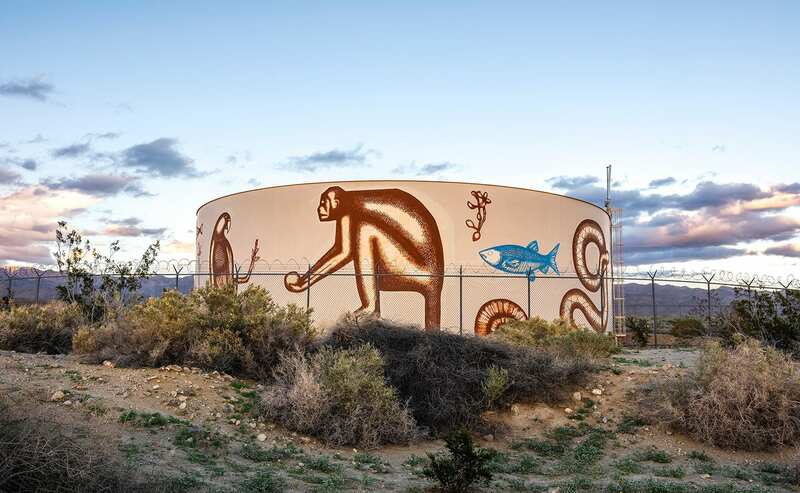 His 360- degree mural emblazoned on a giant water tank uses American Southwest images to evoke the story of migration. 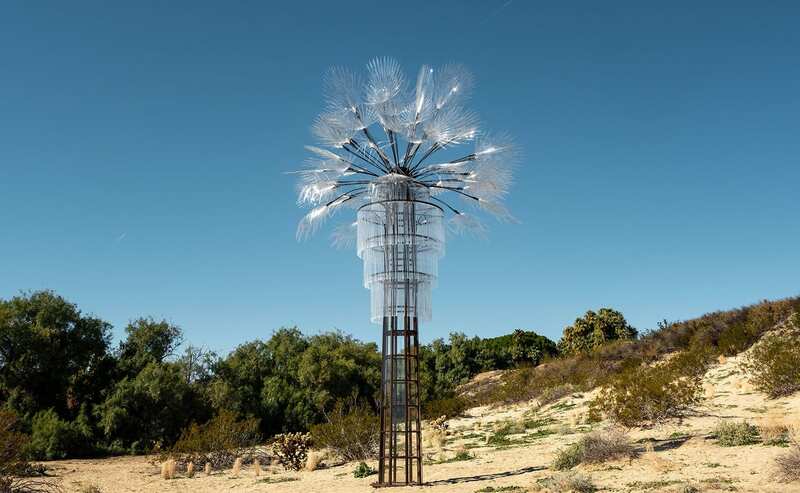 Nestled in a plot of land in Desert Hot Springs, Ryan has reconstructed the iconic desert fan palm into a 20-foot version fabricated with manmade materials of steel, plastics and glass. Wait to see what happens when it catches reflections of the sun. 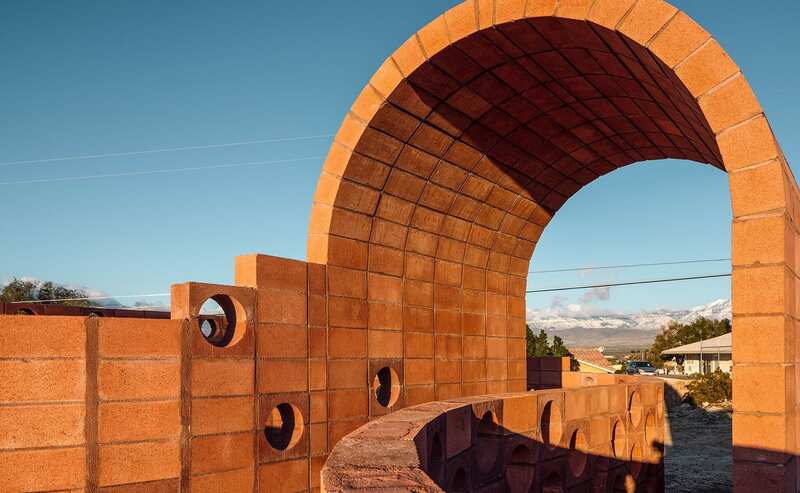 Not far from Ghost Palm is where you’ll discover this fascinating sculpture, a pink and brown Möbius strip fabricated with concrete breeze blocks. Also, called the twisted cylinder, a Möbius strip is a surface with one continuous side formed by joining the ends of a rectangular strip after twisting one end through 180 degrees. Hoeber investigates the correlation between this geometric anomaly and the inner workings of the human mind. 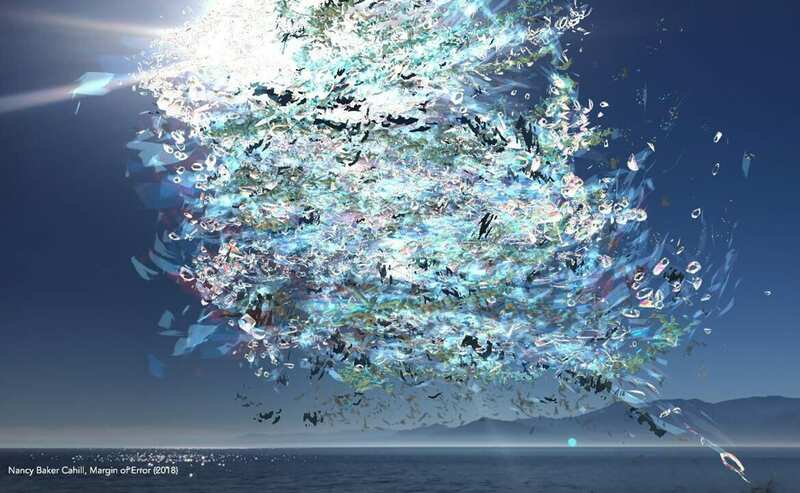 Like the first work, His Executed Variant DHS #1 (Q1, CJ, DC) painting sited in a pool connected to the property explores the various aspects of human consciousness. While you are in an arts and culture state of mind, be sure to explore the abundance of art and design on display throughout our Palm Springs desert hideaway, a marvel of Spanish Colonial Revival architecture. The resort’s original iron gate that hangs above the Santa Rosa Room fireplace, historic photographs, and a rare wall mosaic in Morgan’s 1926 dining room are among the many treasures that you will find.